Utter the words “Byblos” and “beach resort” in one sentence, and you’re likely to elicit “Eddésands” in the yield. The sprawling property, comprising a number of swimming pools, sandy shores, a health and wellness spa, and even lodging for those looking to stay the night, might be known for its summer beach parties and candlelit dinners next to the lapping waters. 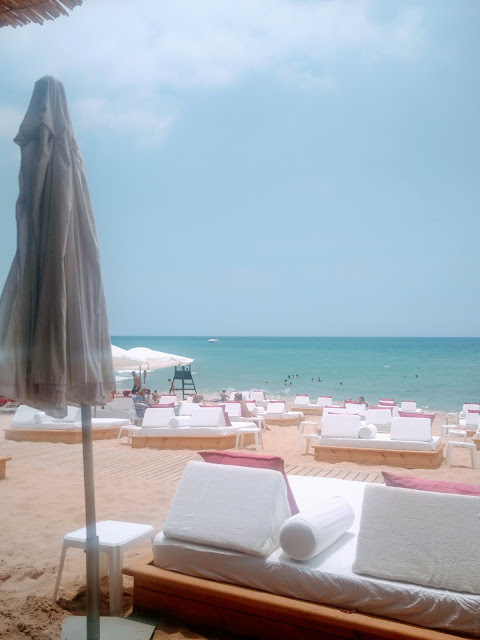 But in actuality, Eddésands is a calm oasis situated a mere 600 meters from the archaeological sites of Byblos, its souks and the Crusader castle. Against such an historic backdrop, you’ll be awe-inspired to learn that thousands of years before you, this is where Cronus built the first city of Phoenicia, the oldest continuously inhabited community in the world. This is where an important military base in the Crusader Kingdom of Jerusalem was erected, which would later form part of the Ottoman Empire. But today this is where you’ll be basking in pristine waters under the hot blaze of the Mediterranean sun. I still remember my first visit to Divvy within a month of its unveiling. The year was 2014; the season, autumn. We had just returned from our honeymoon in Italy, and Lebanese social media was plastered with images of the fresh, relaxed interior of Divvy. Tucked away on a side street stemming from Armenia Street in Mar Mikhael, the restaurant promotes the concept of sharing among guests. 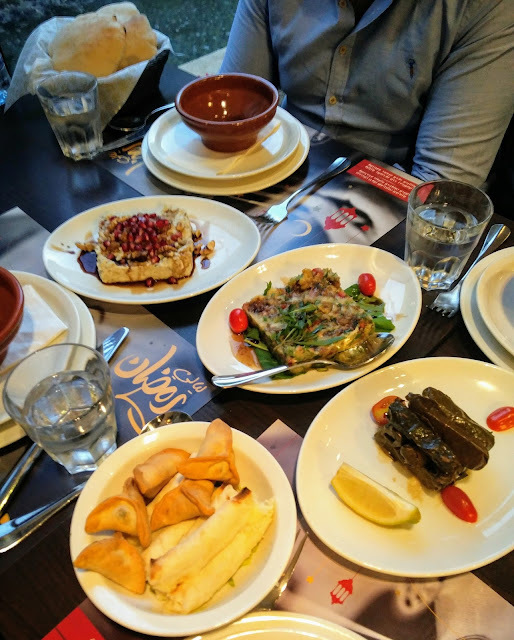 While no culture is perhaps more familiar with communal eating than the Lebanese, Divvy is different in that its menu isn’t mezza. Straddling specialties from around the world, from teriyaki beef to braised chicken on mash, from battered brie bites with blueberry dip to Tex-Mex guac with chips, Divvy's all about tasting a bit of this and a bit of that. The concept, which has undergone progressive fine-tuning in response to avid customer feedback, took off like wildfire. Folks rallied around the incredibly delicious eats Divvy dished up, even if portion division wasn’t always so clean and clear-cut. You know it as the lofty house perched on a hill. 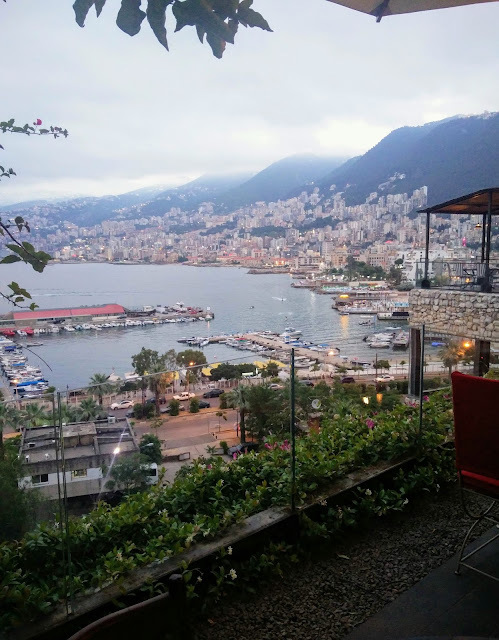 You remember it from your childhood as a special place where occasions are celebrated and stunning views of Jounieh Bay, Harissa, and the entire Keserwan mountainside can be inhaled as you tuck into a square-folded crepe. La Crêperie has been a dining institution since 1968, serving up a selection of French fare with an emphasis on – you guessed it – crepes. After its extensive renovation and reopening in 2015, the eatery preserved its culinary character, continuing to dish out specialties regulars had for years sought out. This summer, however, the restaurant garden is donning an identity of its own, transforming into a sanctuary dubbed Jnaynet La Crêperie where soft Fairuz tunes, eclectic Lebanese cuisine, and fresh-baked lavash-like tabbouné bread are the name of the game. While most of your mezza favorites can be found, from a tahini-rich hummus to spiced lahm baajin, you’re in for an adventure of twists on the Lebanese spread. If you live in Beirut, not every day feels like you’re basking in the Paris of the Middle East — unless by Paris you mean narrow streets whose sidewalks are sullied with dog feces. How that city passes off as the most refined in the world escapes me. But that’s beside the point of this post. The point is that Beirut is not always a ravishing dreamland, and I suppose its denizens are rather well acquainted with that. From the reckless drivers who brazenly cut you off or swerve in front of you with hardly a sidelong glance, to the heavily polluting jalopies which no doubt failed (or avoided) mécanique but have yet to be pulled off the roads, there’s no shortage of headache-inducing faux pas around these parts. Here are my ultimate pet peeves about the Lebanese capital city. If there’s any one delicacy I’ve been spotting around Beirut more frequently these days, it’s knefeh. Dubbed by some as the cheesecake of the Levant, knefeh is a warm pastry layering mild white cheese and semolina, typically spread inside a round pan. Sugar syrup tinted with rose water and orange blossom water elevates the knefeh from delicious to euphoric. In Lebanon, a square slice of knefeh is often stuffed inside a sesame parcel-like loaf to facilitate eating on the go. 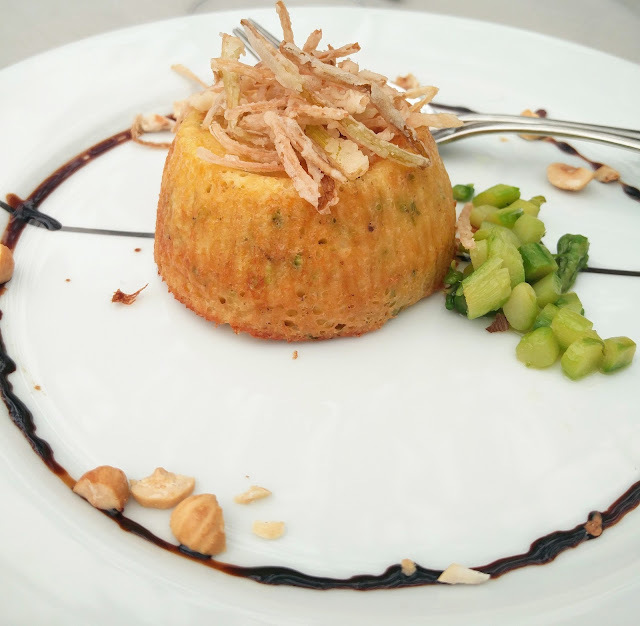 But at home or in restaurants, knefeh is served singly, without any carbs to diminish the transfixing experience. 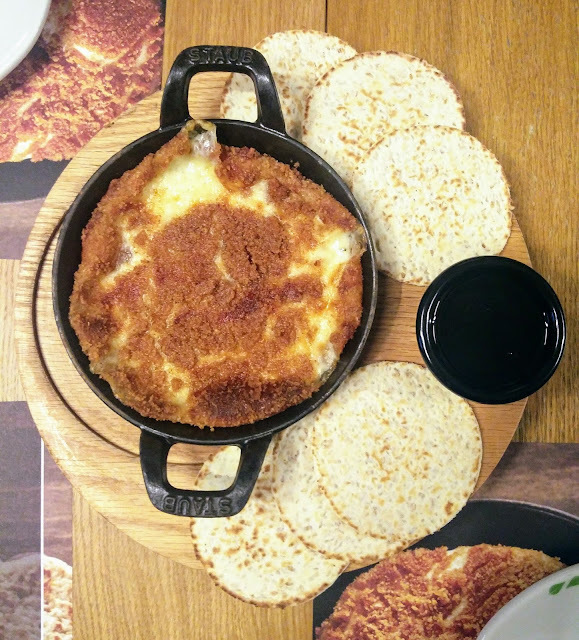 Just last year, Lebanon’s favorite mankoushe diner Zaatar W Zeit introduced its take on knefeh in the form of the Z Knefeh, a sesame flatbread filled with molten cheese and a smattering of semolina, lightly drizzled with syrup, folded over and sliced into four triangles (LBP 7,500). We arrived to Ward el Cham just two minutes to sunset, and a lavish spread of Iftar essentials already awaited us. From a plate of dried figs, apricots, dates, and walnuts, to two clay pots of soup – lentil and veggie – nothing remained to be desired as the signal to commence eating was bestowed. A hearty lentil broth flecked with cumin marked the beginning of our meal, after which we dug in to the cold mezza items on display. Baba ghannouj (moutabbal batenjen) jeweled with pomegranate seeds; eggplant pulp (batenjen raheb) blended with diced green bell pepper, tomato, and onion; a creamy bowl of hummus; fattouch salad topped with fried pita chips; and fatayer and cheese rolls tickled our palate as our appetites were whetted. The warak enab is exceptional, neatly bound inside moist grape leaves and kissed with pomegranate molasses. The kibbeh cups filled with labneh are also pleasant, with sufficient crisp and crackle from the grains of bulgur in the crust. If there’s a season to cherish in Lebanon, it’s the season of the terrace. The season when it would be foolish, borderline criminal, to dine indoors. The season when fresh, crisp air lulls you to pitch a tent on a restaurant terrace and camp out for as long as the management doesn’t start throwing you scowls. And Paper Moon Beirut’s embracing that season with Aperol Spritz, peach Bellinis, and over a dozen new summery menu items. 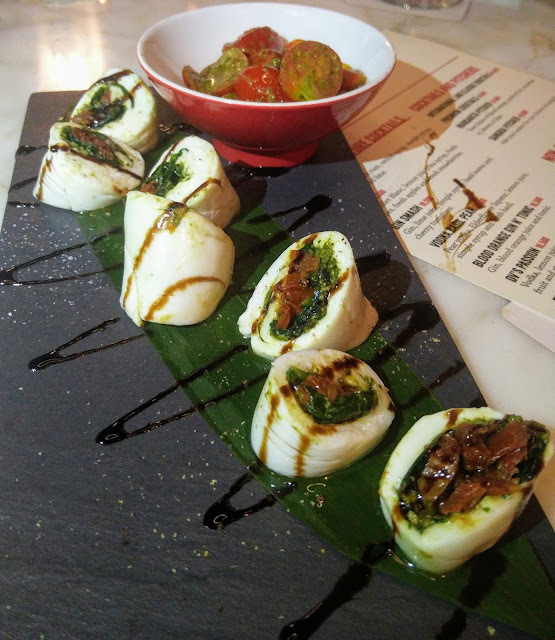 Nestled on a quiet Achrafieh street a stone’s throw from Hotel Albergo and Le Sushi Bar, the Milanese dining institution features an expansive terrace with comfortable seating, massive white parasols, and informed waiters who specialize in vigilance. Last Saturday, we gathered with a group of like-minded gourmets over a selection of season-suitable specials, and rare was the comment that wasn’t in utter praise or fawning of Chef Elio’s flair.